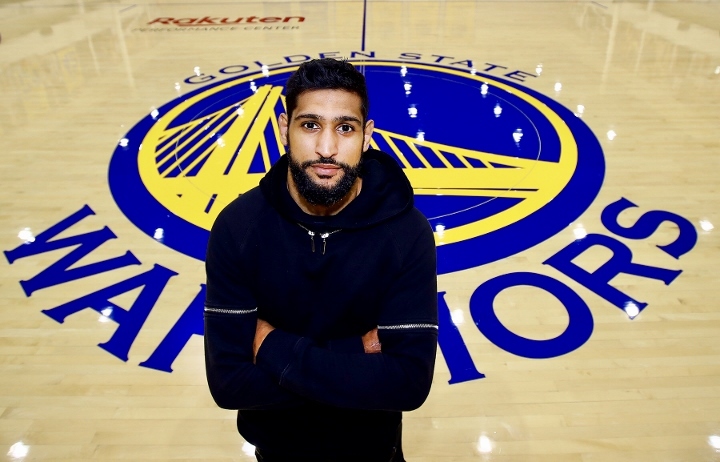 AMIR KHAN has taken a swipe at his haters as he prepares to fight Terence Crawford. Khan will enter his 38th professional bout when he takes on the undefeated American at Madison Square Gardens. The British fighter rose to prominence when he won a silver medal in 2004 and has gone on to enjoy a successful career in the ring. The 32-year-old has won 34 fights and been a two-time world champion. And he told BT Sport that he believes his critics are jealous of his exploits. “I was quite hard (to deal with his rapid rise),” he said. “I was so young and all my friends were chilling, playing football and I couldn’t do all that stuff. “I was a young boy, I was 17 when I first came on the map. Now I’m one of the eldest in the game with two kids. “If you don’t like me don’t comment about it. They don’t like you or they want to say something bad about your boxing career. Khan has just over a fortnight until he enters the ring for the first time since September. He is a huge underdog against a man who is among the best pound-for-pound boxers in the world. His last visit to America saw Khan knocked out in the sixth round by Canelo Alvarez – although he had stepped up in weight to challenge the Mexican. Watch the latest in BT Sport’s No Filter Boxing series, featuring Amir Khan, on BT Sport 1 HD and YouTube on Friday 5th April at 10pm.